A fusion of contemporary architecture and Sukiya-Zukuri has been standing on the land of Kotohira for over 400 years. 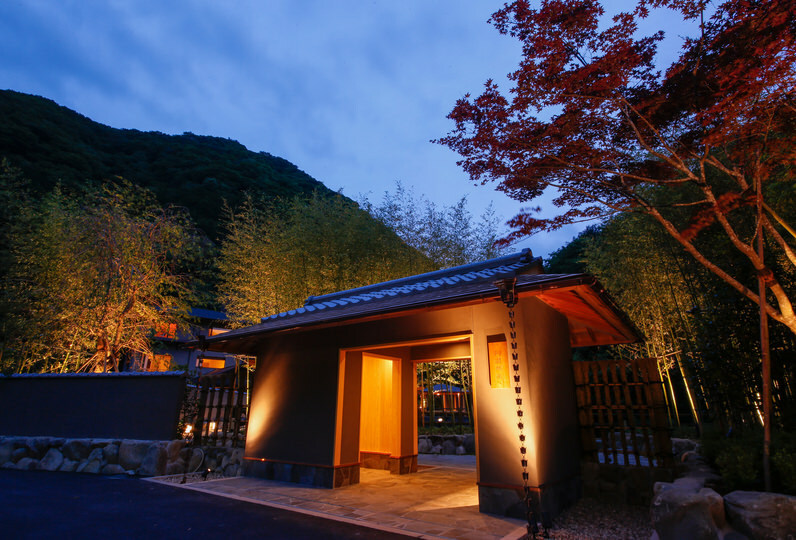 'Konpira Spa' is located in Kotohira town, famous for the Kotohira Shrine and Konpira Kabuki. 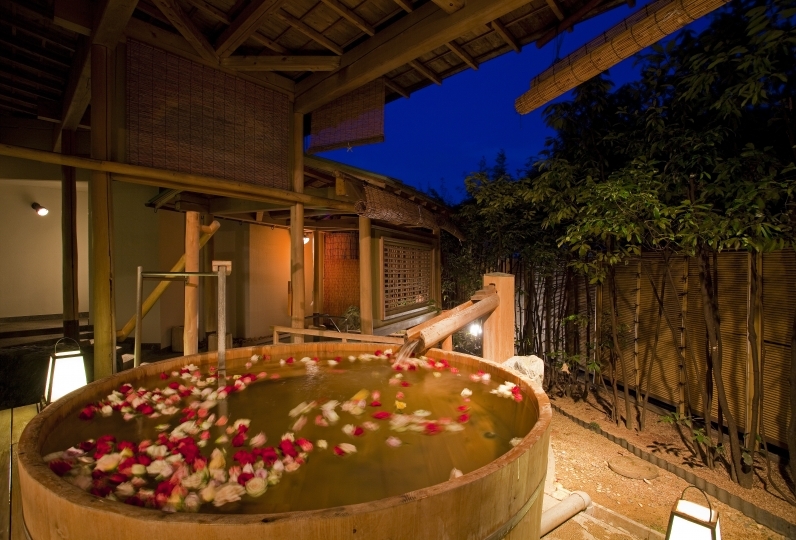 The crystal clear hot water of Konpira spa will gently soak the body. Distinguished writers of the past such as Ogai Mori, Hakushu Kitahara, and Akiko Yosano have stayed in the villas, which are surrounded by a circuit-style Japanese garden created to express the four seasons. The fascinating atmosphere of the garden revives the appearance of Kotohira of the past. The Garden Lounge is spacious with the comfortable sound of Jazz in the background. The terrace has a foot-bath overlooking Sanukifuji and the landscape of Kotohira town. Enjoy the panorama view of Mt. Zozu in luxury. Dinner is a Japanese style banquet comprising of ingredients grown in the warm climate of Seto Inland Sea. Enjoy the flavors of the Kagawa region, renowned for its delicacies. Kotohira Kadan boasts a blend of long history and contemporary atmosphere. The legacy of Kotohira Kadan's Japanese omotenashi hospitality continues. We are always striving to better ourselves whilst respecting our history. The room and the outdoor bath is very nice. Although I am informed that the room is a smoking room but the staff has do... Read more The room and the outdoor bath is very nice. Although I am informed that the room is a smoking room but the staff has done a great job deodorizing it. The in-room dinner and breakfast were very delicious and the portion were well-designed. The lounge, free coffee and tea and sparkling wine was a lovely surprise. I am specially thankful to all staff who have kindly tolerate the noise of my 2-year-old kid. It&#039;s been a great stay with you and I would consider this hotel again if I revisited the area. The room and the outdoor bath is very nice. Although I am informed that the room is a smoking room but the staff has done a great job deodorizing it. The in-room dinner and breakfast were very delicious and the portion were well-designed. The lounge, free coffee and tea and sparkling wine was a lovely surprise. I am specially thankful to all staff who have kindly tolerate the noise of my 2-year-old kid. It's been a great stay with you and I would consider this hotel again if I revisited the area. The staff's response was very good. The room of the hotel had a rare experience with historic buildings. The contents of the meal are a bit disappointing, but the correspondence of the staff is great, so I will discount it. (Laughs) Thank you very much. The modernly renewed main dining, Keiyaki, offers private room seating where you can relax and eat in a private space. From the counter seats you can enjoy your meal in full view of the garden. Dine on fresh seafood from the Inland Sea, Sanukisanchiku Beef, Saki pork, and Saki Cochin, a gourmet brand representing Kagawa. All of these products have been carefully raised in the temperate climate of the Inland Sea of Kagawa Prefecture. It is also a treasure trove of food for items such as Sanuki udon. Please enjoy this traditional Japanese course. 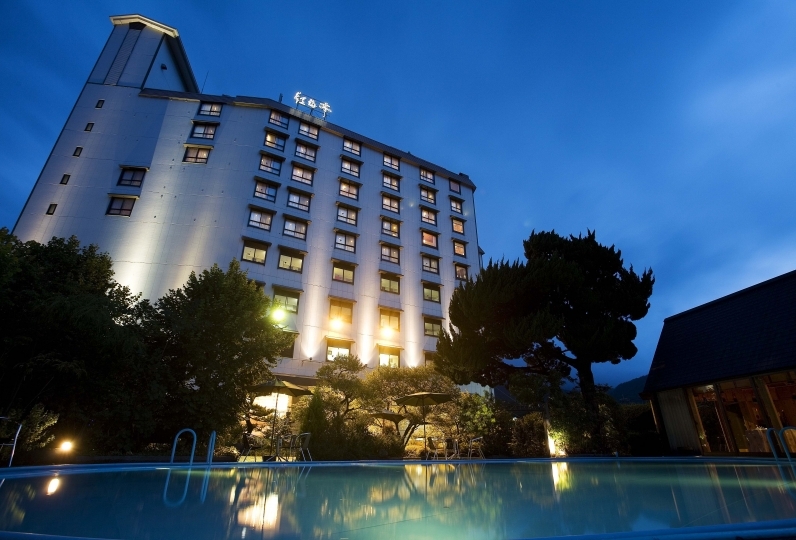 What is the Konpira Onsen: Konpira Onsen-kyo is located in Kotohira town, an area famous for Kompira Shrine and Konpira Kabuki. The hot spring is effective against such conditions as neuralgia, muscle pain, joint pain, and stiff shoulders. Located right in front of Mt. Kotohira, this outlook Spa overlooks Sanuki plain and the Asan ranges. You can also take in the view of the well balanced Mt. Iino, also known as the "Mt. Fuji of Sanuki". This is a spacious outdoor spa with a terrace. There is a separate shower and  powder room. You can also relax on a luxurious designer's sofa while overlooking the landscape. Enjoy a special tea after the spa and relax with music played on the MD player provided with the room. Garden Lounge is located at the newly opened Shogetu Terrace on the 3rd floor. 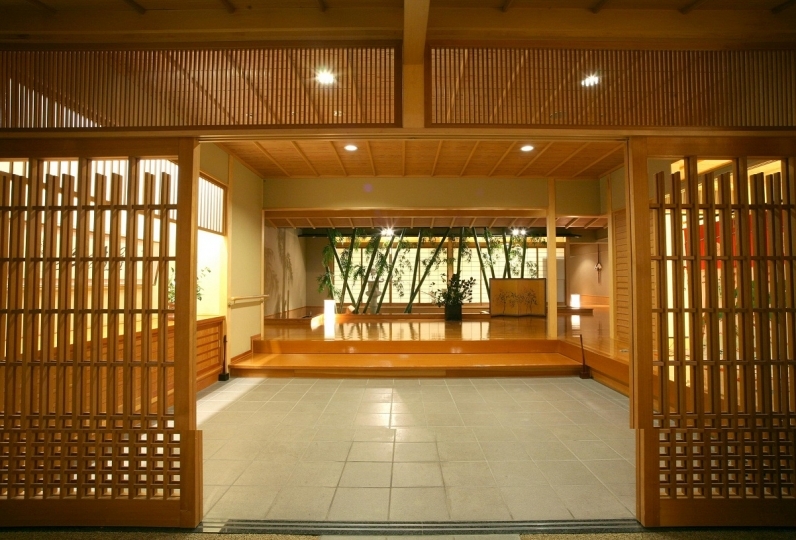 This is a symbolic facility of Kotohira Kadan where our guests gather. The spacious lounge has a fireplace and you can listen to Jazz. There is a bar, a library, a massage chair, a PC, and Wi-Fi. It can also be a club room for private use. The terrace overlooks the panoramic view of Sanuki Fuji and the landscape of Kotohira town. There is a terrace with a foot-bath and a deck for viewing the moon. You can enjoy the beautiful moon in the sky, the garden inside of the property, and Mt. Zozu (Kotohira Mountain) which is designated as a National Park. A healing space set up in Kotohira Kadan's garden. We offer a traditional Thai massage that has such nicknames as "the most pleasant massage in the world" and "Yoga done by two people." It is a unique technique nurtured in Thailand for over 2500 years. Heal the fatigue of your visit to the Kompira Shrine and the daily stress and purify your body and mind. Return home in a better shape than when you left. *Please let us know in the free comment section which you would prefer. ・Hot spring tax (150yen) is not included in this plan. The Sukiya-zukuri Hanare and Chouseiden room type cannot accommodate children under the age of 12. Children under the age of 2 years old may stay free of charge. Please tell us in the free comment section when you make your reservation.